Thank you Nantasket-Hull Rotary Club! 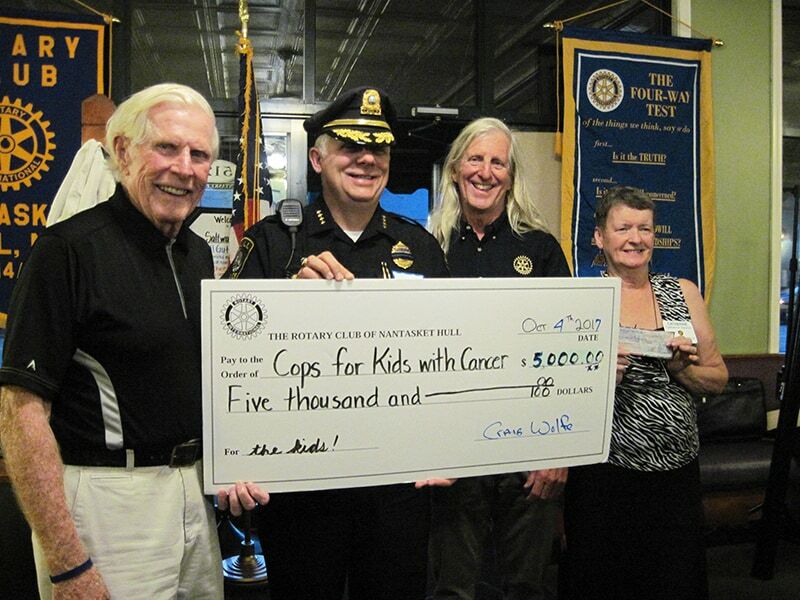 On October 4, 2017, Cops For Kids With Cancer went to the Nantasket-Hull Rotary were they received a $5,000 donation from the Rotary. For thirteen years the Rotary club has sponsored the Hull Auto Show which raises money for Cops For Kids With Cancer. In photo, left to right, retired CFKWC chairman, Bob Fahery, Hull Police Chief, Jack Dunn, Rotary President, Craig Wolf, and Treasurer, Catherine Hanron.